Bubbles, bubbles everywhere and not a drop to drink. 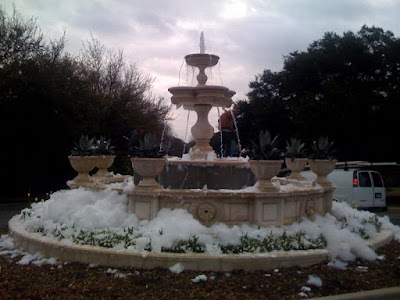 D Magazine's FrontBurner reports: This is what it looked like at about 9 this morning, as two workers were scooping out the bubbles. Children, we do not find this amusing. Oh, wait. Yes we do.